Since President Rodrigo Duterte assumed office, an estimated 12,000 extrajudicial killings have been linked to his anti-drug campaign. Until now, the government has shielded the perpetrators among the police from all forms of accountability. 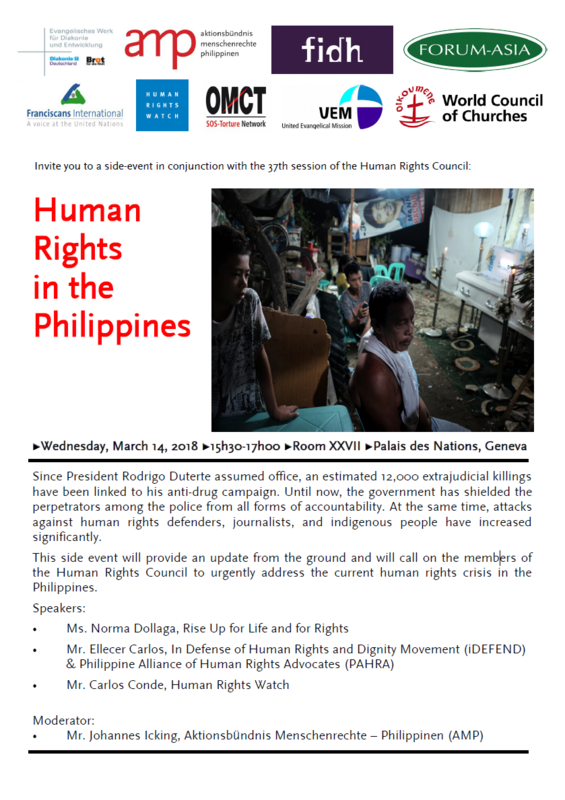 At the same time, attacks against human rights defenders, journalists, and indigenous people have increasedsignificantly.This side event will provide an update from the ground and will call on the members of the Human Rights Council to urgently address the current human rights crisis in the Philippines.